You are here: Home / General Information / Animals Today February 2, 2019: Animals in the news. Live animal markets. Dolphins are dying at Dolphinaris Arizona. Polar Bears. We begin with hot animal news of the week including an airport detection dog finding 5000 leeches in a suitcase, a 22 year old zoo employee killed by a lion in North Carolina, bone cancer in dogs treated with immunotherapy is a new method that might help humans, and the top pet trends to look out for in 2019. Eric Mills then joins Peter to discuss the many problems with live food markets, especially in California. Live turtles and frogs, typically harboring infectious pathogens continue to be sold alongside other food items in these markets, threatening our health and harming the environment. Eric has been fighting these markets for decades, but acknowledges that politics and cultural forces act to keep them open. Eric leads Action for Animals Oakland. Our next guest is Dr. Naomi Rose, Marine Mammal Scientist at Animal Welfare Institute. At the swim with dolphins attraction, Dolphinaris Arizona, three dolphins have died from illness in the past 15 months. Confinement in small, shallow tanks with a continuous parade of humans wading through presents many health risks to these dolphins. Dr. Rose suggests strategic use of social media as a way individuals can help end the marine mammal captivity industry. UPDATE! After recording this interview with Dr. Rose, another dolphin has died at Dolphinaris Arizona, bringing the death count to four since opening in 2016. 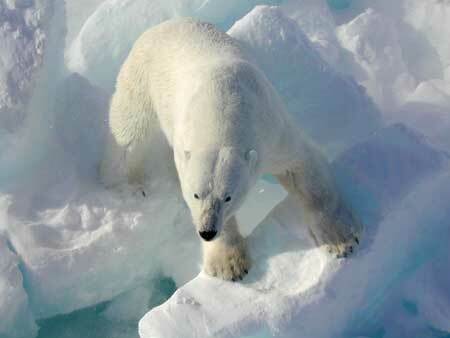 To conclude, in recognition of International Polar Bear Day, Lori offers many fascinating facts about these magnificent creatures, and springs a little pop quiz on Peter. California Governor Gavin Newsom and all state legislators may be written c/o The State Capitol, Sacramento, CA 95814. NOTE: The Governor appoints the Resources Secretary (which oversees the Dept. of Fish & Wildlife); the Director of DFW; and all five members of the Fish & Game Commission. The Commission is mostly an advisory body, with no real authority over the DFW. A remarkable statement from Sonke Mastrup, then-Deputy Director of the Dept. of Fish & Game (now Fish & Wildlife),, after two 2006 unanimous votes by the Commission, instructing the DFW to cease issuing the frog/turtle import permits: “THE DIRECTOR ACTS AT THE PLEASURE OF THE GOVERNOR.” In the wake of which the DFW ignored the Commission’s direction, and it’s “Business as Usual, ” to the detriment of the environment, the public health, and animal welfare. So much for the democratic process…..
LET ALL THE FOLKS LISTED ABOVE HEAR FROM YOU!